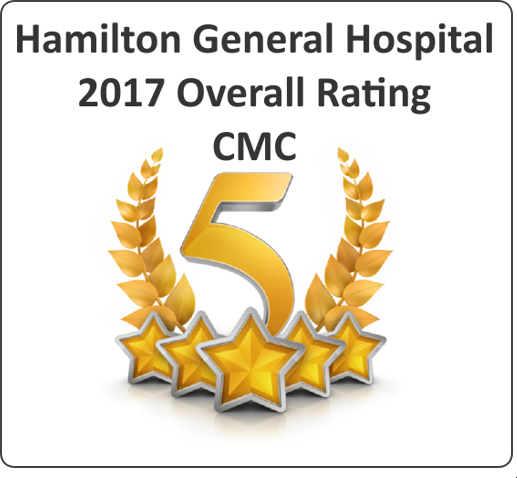 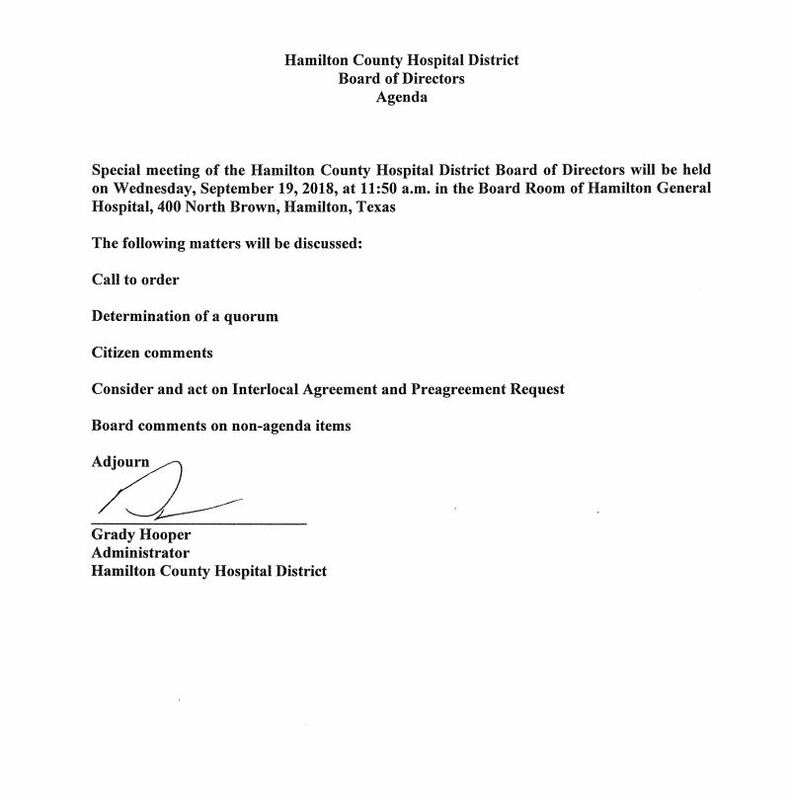 The Hamilton County Hospital District is governed by an elected board of five directors, one representing each precinct in the district and two at-large. 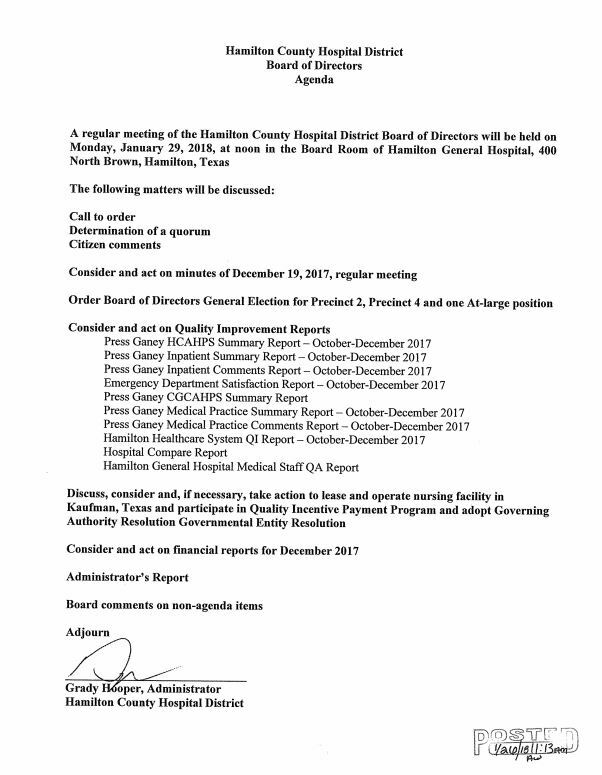 Directors are elected by voters in Precincts 1, 2, and 4 to serve staggered two-year terms. 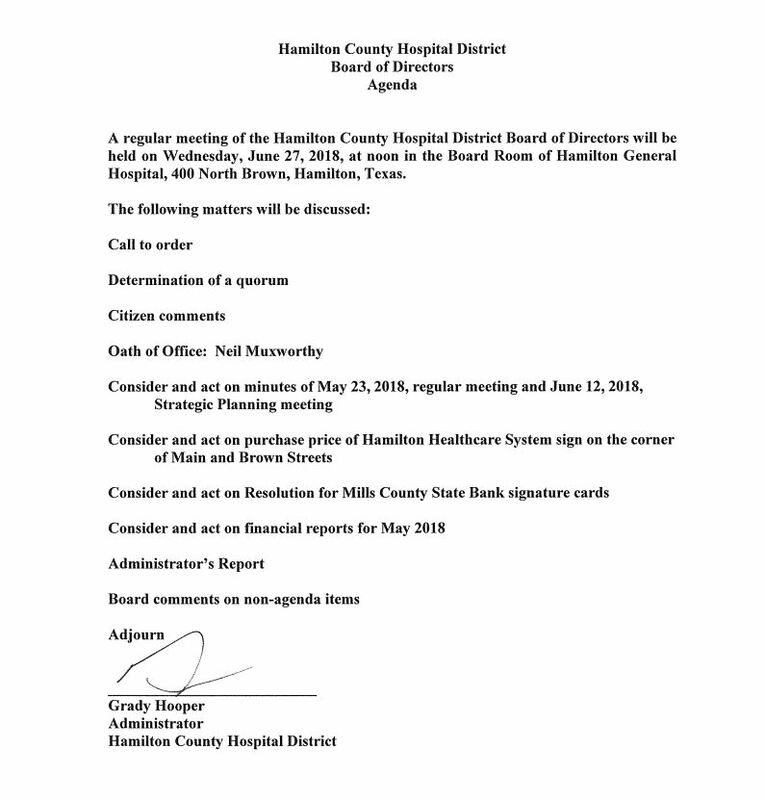 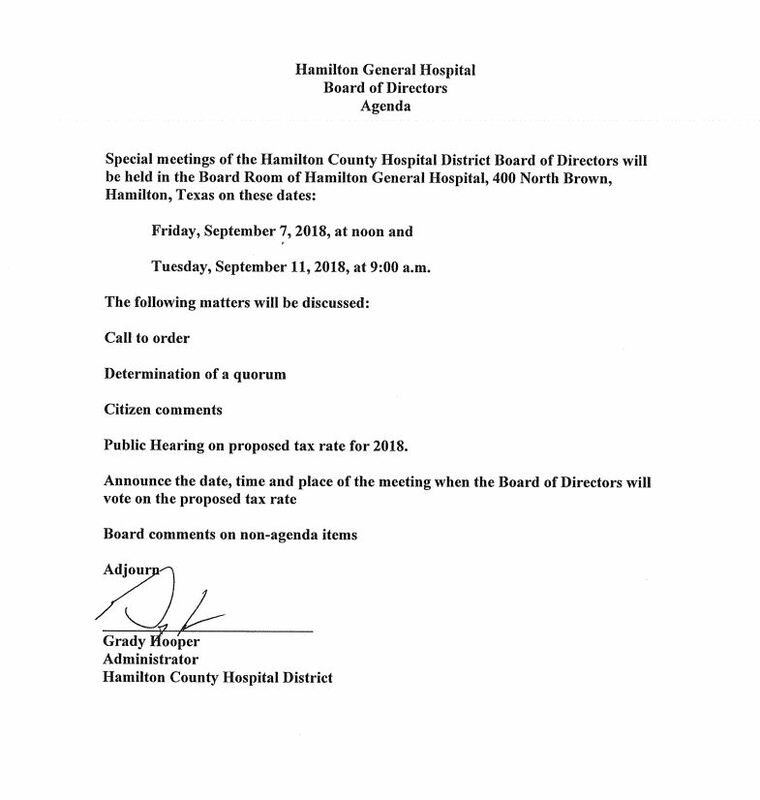 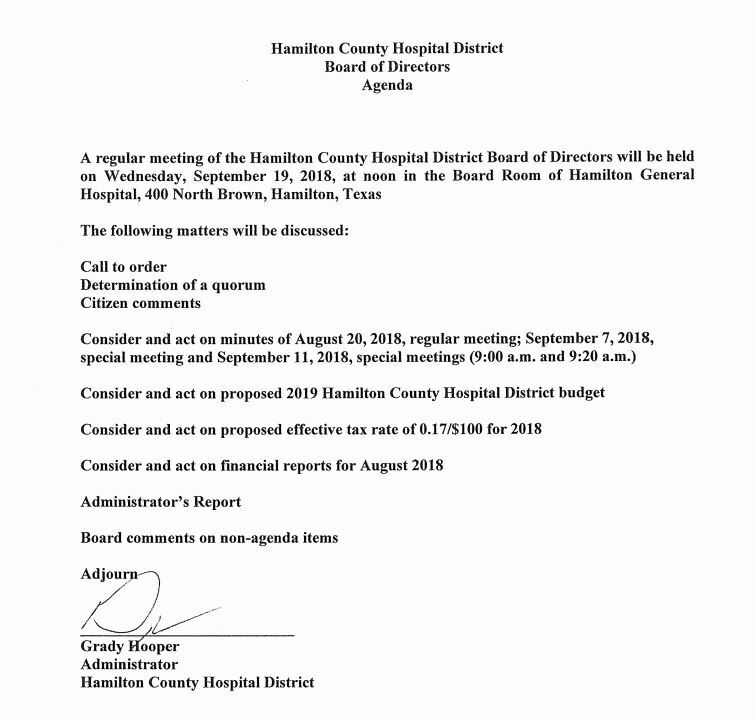 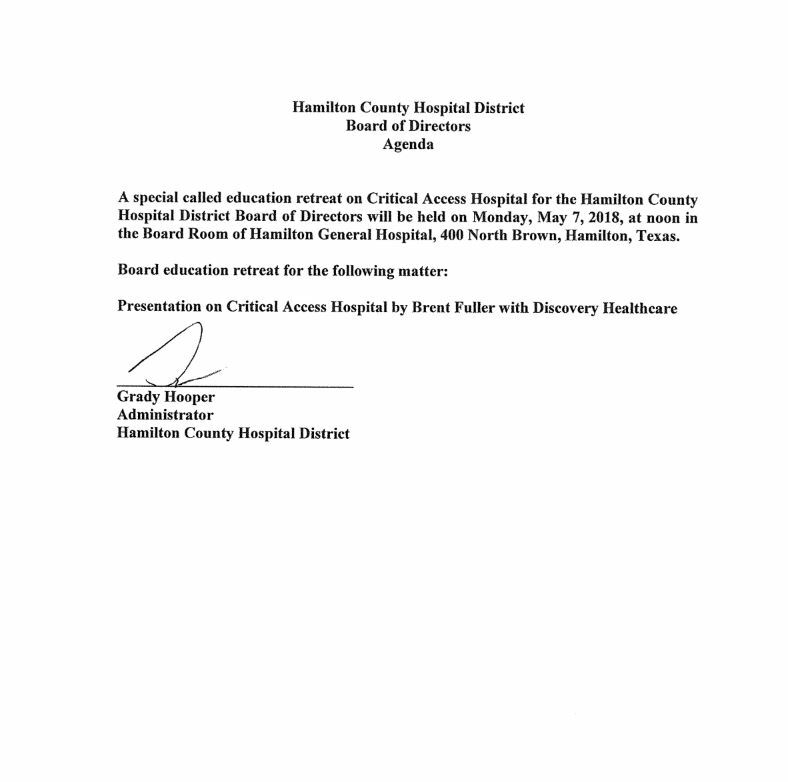 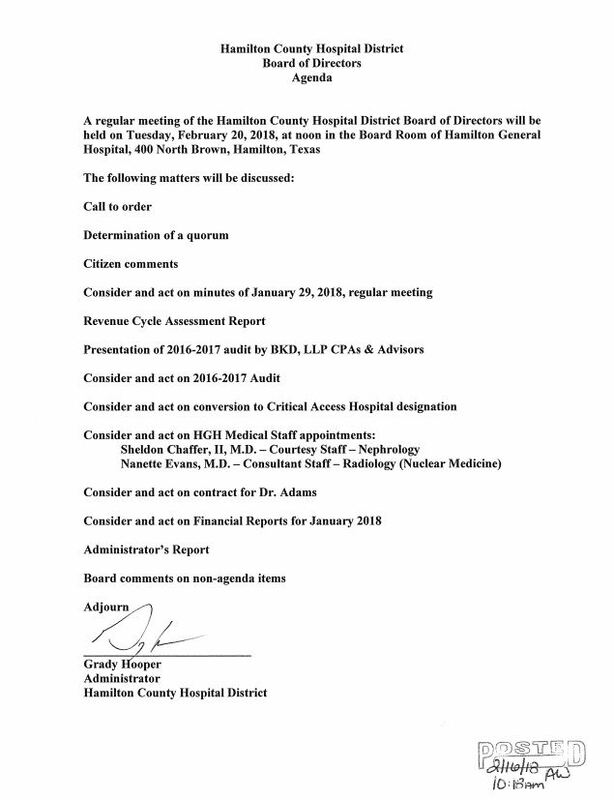 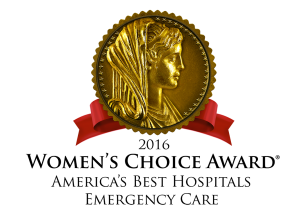 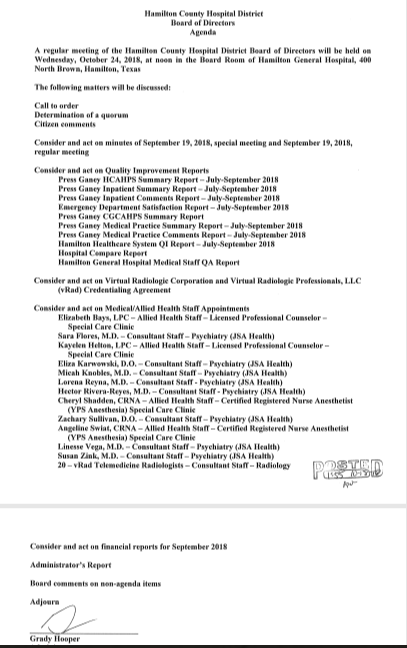 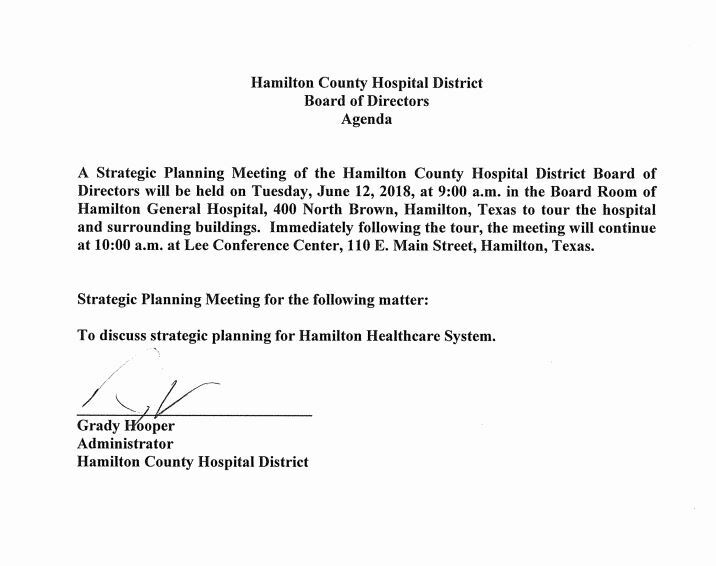 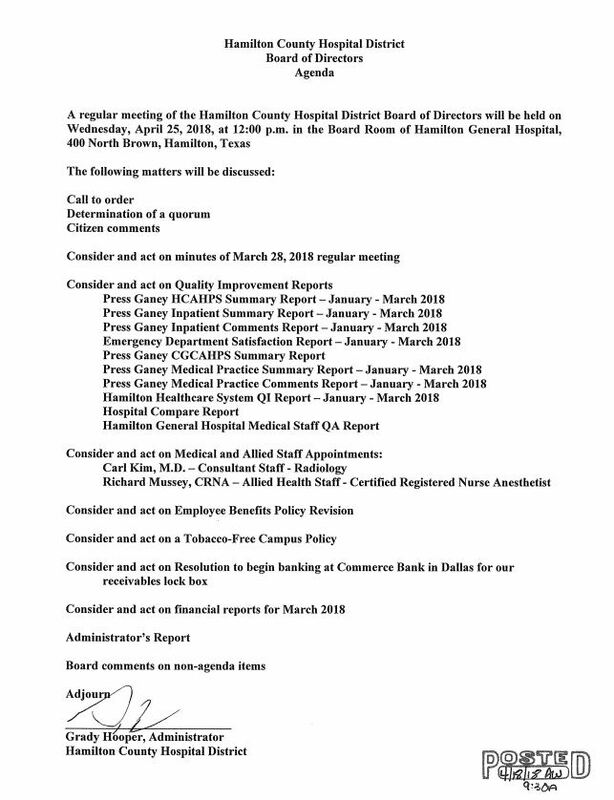 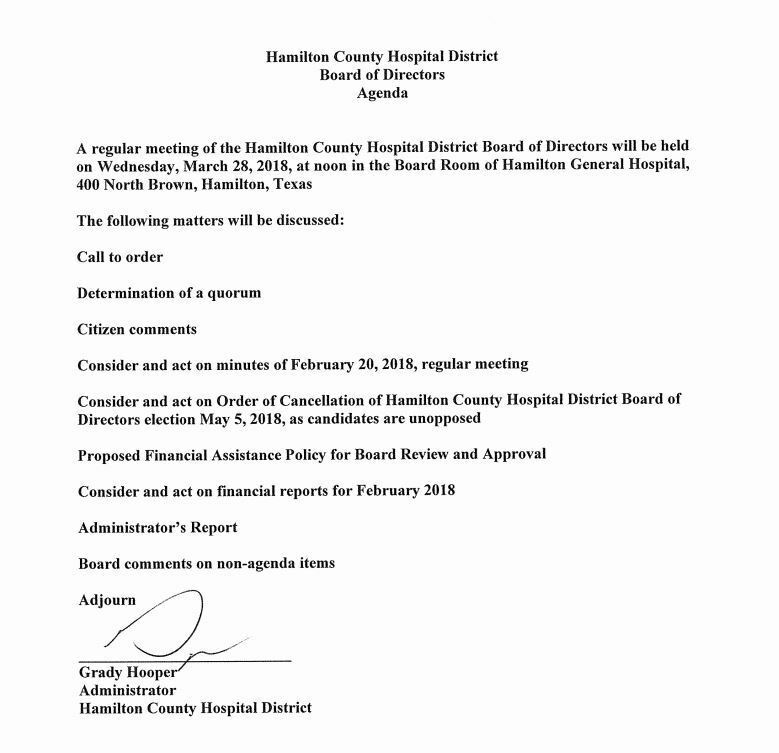 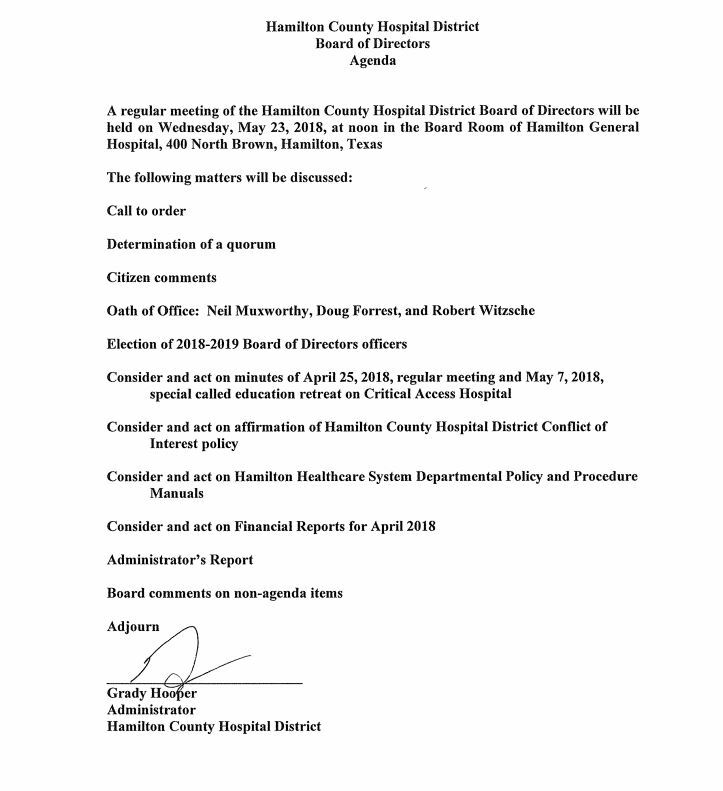 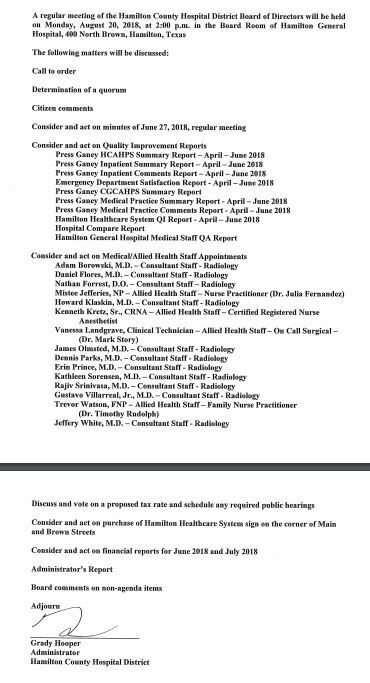 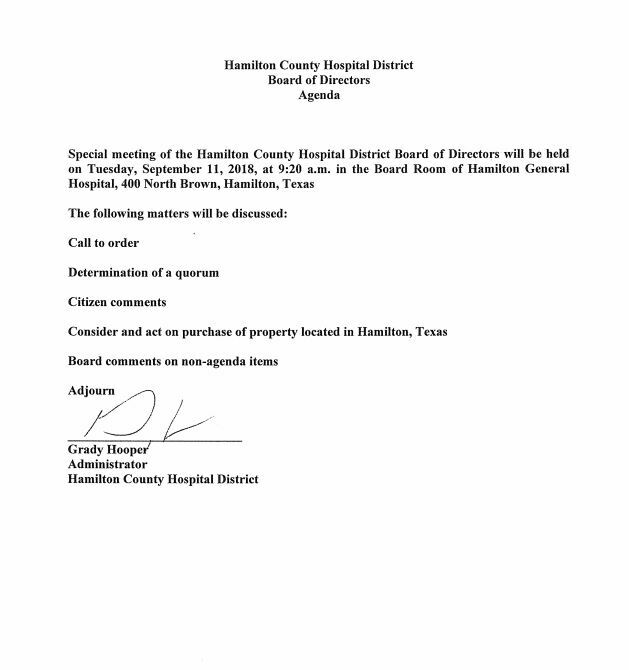 The Hamilton County Hospital District Board of Directors generally meets at 12:00 p.m. on the fourth Friday of each month in the Board Room of Hamilton General Hospital, 400 North Brown, Hamilton, Texas, unless postponed or canceled. 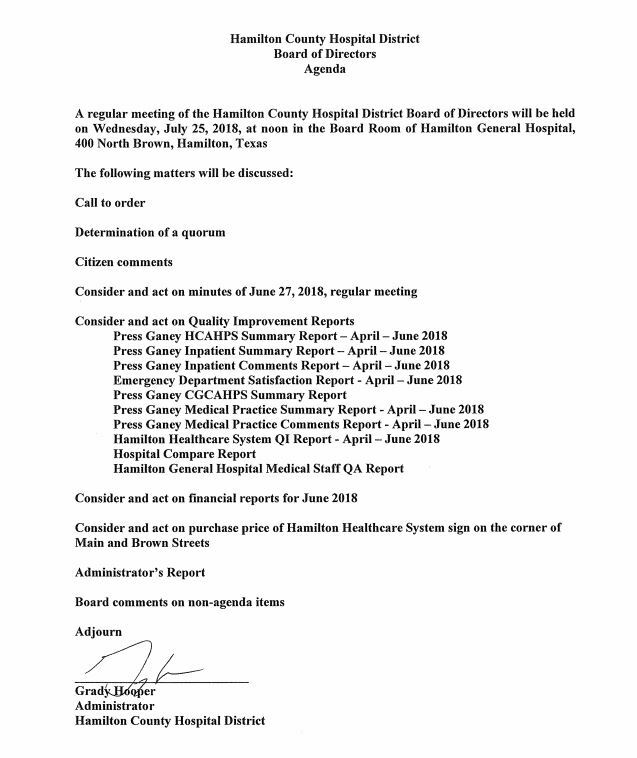 View current and past meeting agendas.